September 2017, marks 5 years since the beginning of Le-Vel and launch of THRIVE, a multi-level marketing (MLM) business and product line that promotes a premium and healthy lifestyle. The company began with one mission: to help people THRIVE, rather than just survive. 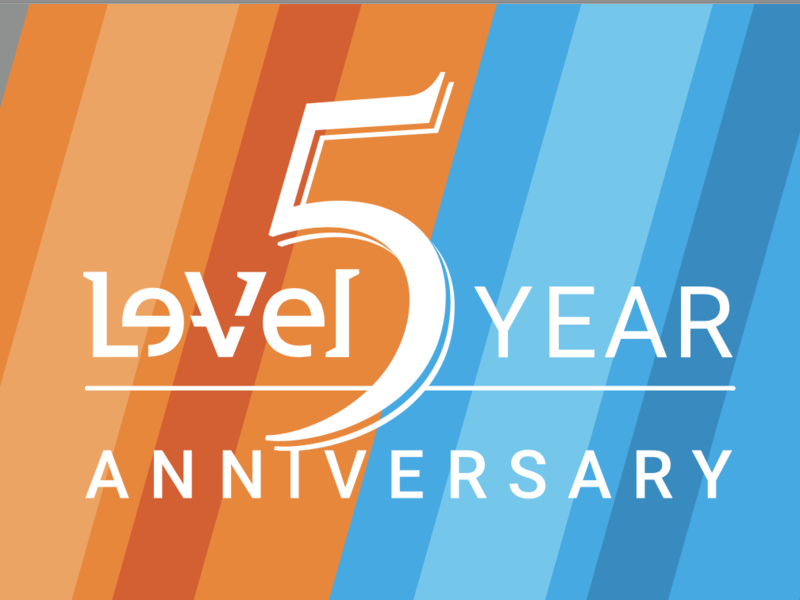 Though the anniversary marks 5 years of Le-Vel THRIVE, the founders, Jason Camper and Paul Gravette, have committed nearly half a century to health and wellness. Camper and Gravette come from humble beginnings but turned an innovative idea into a billion-dollar business. The company’s mission since its foundation is to provide a premium product line that is easy to incorporate into your daily life and that will provide you with the nutrition you need to live a better life. The products are meant to provide energy, vitality, better cognitive functioning and an overall improved everyday life. 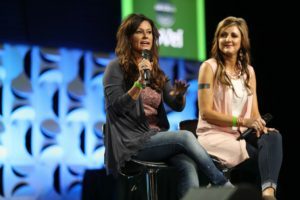 The founders attribute their success to the THRIVERS; those that recognize the uniqueness of the company and that are passionate about not only the THRIVE premium line of products but the mission, too. THRIVERs are those who fully understand what leading a premium lifestyle is all about. “We are so fortunate to be stewards of a Movement that has attracted such a unique and amazing group of individuals, to be able to work with them to make an impact throughout the world and help millions live a life they deserve,” stated the co-founders. As of September 2017, the company has more than 6.5 million customers and independent Brand Promoters, better yet, THRIVERS, assisting in the growth of the company. The company’s large community of THRIVERS not only unites to assist in Le-Vel’s mission for a healthier lifestyle but also to raise money for charity. In 2016, the company presented $255,000 to the National Breast Cancer Foundation (NBCF.) The money was collected via Derma Fusion Technology (DFT) sales. $5 from every purchase in the month of October in 2016 was collected to donate to NBCF. This donation reflects an ongoing partnership between Le-Vel THRIVE and the NBCF. “As a company dedicated to health and wellness, we feel strongly about playing a role in creating a reality in which this disease can be cured or prevented,” stated Gravette. In continuance of their charitable actions, at the 2016 SUCCESS FROM HOME magazine launch event, Le-Vel released the limited edition Hoyt Derma Fusion Technology (DFTs.) Much like the fundraising efforts for the NBCF, $5 of every sale was presented to the Hoyt Foundation, which aims to build confidence and self-esteem in physically disabled youth in the United States. Efforts such as these are only a glance at Le-Vel’s determination to give back. Their charitable actions align with their mission to THRIVE in life. Jason Camper, co-founder and co-CEO, was raised in Lubbock, Texas and attended Texas Tech University. It was during his time in college that he realized his passion for direct selling and nutrition. Camper worked in sales for almost a decade before he transitioned to the corporate side of the industry. During his initial years, Camper learned many aspects of the business and it was with that experience that he and his partner, Gravette, came up with the idea for a cloud-based business selling nutritional supplements. Co-founder Paul Gravette was an experienced entrepreneur with proficiency in technology and communications. Camper and Gravette’s partnership spawned via the Internet, where they connected over their similar hopes for an innovative business model. In Le-Vel THRIVE’s infancy, Gravette and Camper shouldered most of the work. Camper oversaw operations and logistics, while Gravette used his sales expertise to network and grow the brand socially. Both founders interacted with brand promoters, conducted customer service, shipped products out, as well as any other minute-detailed work that goes into running a company. Their hard work and long hours paid off as their company was brought to a new level. Le-Vel THRIVE is now a billion dollar multi-level marketing (MLM) company and the co-founders’ roles are somewhat different. Today, Gravette says the majority of his time is spent interacting with THRIVERS. And both co-founders are still profoundly dedicated to the mission of Le-Vel. Both Camper and Gravette are passionate about nutrition and are active in their daily life, amidst frequent work-related travel. Le-Vel’s 5-year anniversary demonstrates the success of what people often deem to exist no longer: the American Dream. “We weren’t heavily funded and we didn’t have a ton of things in our corner, which provided uncertainty that this company would be massively successful. But we did have a plan and the desire of two guys with full hearts and a set of goals and dreams with the determination in our eyes to go after them, no matter what anyone said or thought,” stated the founders. Both men have passions and dreams. Gravette himself enjoys design, while Camper enjoys golf. The human aspect of these men and their unwavering belief that THRIVE is helping millions of people make Le-Vel THRIVE’s success an inspiring story. The 5-year anniversary celebrates two men of humble beginnings with innovative minds and an ideology that, to achieve your dreams, you must dedicate hard work and a lot of elbow grease. Le-Vel THRIVE started with just two men with an idea. As mentioned above, the co-founders dedicated themselves to every aspect of the business. In just 4 years’ time, the company could brag about more than 750,000 Brand Promoters and 4 million customers. Since then, the company has only grown. Le-Vel, innovative to its core, was the 2016 winner of the Direct Selling News Bravo Growth Award, which recognizes the largest year over year growth in the world in direct sales. The company demonstrated a 254% revenue surge at the time of recognition. Le-Vel is the first virtual company in direct selling and sells not only THRIVE premium products but a lifestyle. Individuals find the Le-Vel THRIVE lifestyle appealing for many reasons: the founders, the products, the Brand Promoters, and the brand positioning. The multi-level-marketing aspect of Le-Vel utilizes a community of Brand Promoters that are passionate about the products they are selling. Moreover, the Brand Promoters are past customers that were so inspired by the products and mission, that they committed to being a part of it. Those selling Le-Vel THRIVE products are not, generally speaking, experienced in sales, but parents, teachers, nurses, etc. Take this testimonial from a father that struggled with fatigue as an example of the level of difference Le-Vel made in his life. “Our story as a company is an example of dedicated individuals getting together, believing in themselves and their skill sets, and being willing and committed to doing things the way their gut says to do it, even if it’s not how others say it should be done,” stated the co-founders.  The technological aspect of Le-Vel is unlike many other businesses, especially MLM businesses. What’s important to note is that the company’s growth has been largely organic. The THRIVE testimonials of those engaging online are driving growth for the company. The entire company uses cloud technology to operate with a low overhead and fast reaction time. Most direct sales companies utilize a high concentration of sales teams, but this accumulates massive overhead for buildings, staffing, bills, etc. The multi-level-marketing concept of Le-Vel THRIVE utilizes less staff and cloud technology for more efficient operation management. The technology handles order management, commissions, customer and promoter support, team sales, etc. The teams use online webinars to connect and train digitally. Webinars may cover how the business works, how to become a Promoter, and more. See below for an example of an online training webinar. Co-founder Gravette built many online-only companies before “cloud” became a buzz word. 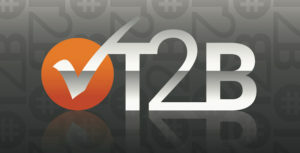 Gravette stated that cloud-based technology lets Le-Vel THRIVE “reward our brand promoters and their customers with more because our overhead is a fraction of what most corporations have.” Compensation rewards range from cash, technology, and auto bonuses to lifestyle getaways with trips as a team to places like Las Vegas, Toronto, Cabo, Punta Cana, and more. In its five years, the company now maintains a full-time staff from all over the United States. The cloud-based structure allows Le-Vel to maneuver around limitations such as location-dependency. Le-Vel THRIVE Brand Promoters and community utilize technology and social media to engage and support others. The company’s official social media pages are full of thousands of THRIVE testimonials from Brand Promoters and customers. Each post receives hundreds to thousands of words of encouragement and support. Their Facebook alone has grown to over 1 million fans, and, when combined with Gravette’s and Camper’s Facebook pages, the number balloons to over 3 million fans. The company has a global network of customers who are taking to social media to share their opinions of the THRIVE products. Since the beginning, the co-founders understood the power that technology would play in their business. There is a high concentration of reviews online for Le-Vel THRIVE. Due to the success of the business originating primarily in the testimonials of THRIVERS, it is hard to ignore such powerful statements about the brand. For the full reviews, experiences, and comments visit the original pages. The first products offered by Le-Vel THRIVE were the THRIVE Premium Lifestyle Capsules and the THRIVE Premium Lifestyle Mix. Either of these products would have been ordered during the first order of Le-Vel history on September 18, 2012. Le-Vel returned to the science lab to produce the THRIVE Premium Lifestyle Derma Fusion Technology (DFT.) Shortly after, the 8-week THRIVE Experience was born. The Experience promoted a simple methodology: three steps a day to live a healthier lifestyle. The simplicity of the THRIVE Experience appeals to many. Following the DFT, Le-Vel introduced the THRIVE Plus line, which is a series of supplements that gives individuals more personalization for their routine. Le-Vel launched Balance, Move, Rest, Boost, Activate, Pure, Form, THRIVE K, Expand, Black Label (DFT), DFT Ultra, and DFT DUO. In the first 24 hours of the Black Label DFT product launch, it produced $1 million. Le-Vel also released a unique product unlike the other lines that is a collagen protein gel known as FORM. Beating the Black Label line, FORM generated $1 million in only two hours. Le-Vel’s science and dedication to its mission came together to release Expand, a nootropic capsule meant to support cognitive functioning. 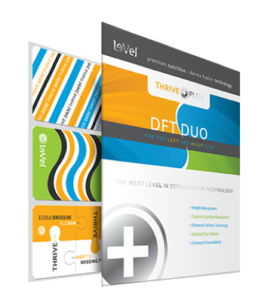 Perhaps one of the most successful launches was the limited release launch of DFT DUO, a weight management product which generated $7.5 million in 8 hours. According to directsellingnews.com, Le-Vel THRIVE is constantly improving their standards for quality. “Company executives established a Scientific and Medical Advisory Board, which has more than 200 years of combined industry research in human nutrition and nutritional supplementation. Le-Vel has commissioned multiple double-blind placebo-controlled safety studies and efficacy studies, as well as worked with Ohio State University to complete a statistical analysis on how to improve each future study, as well as, future products. Le-Vel THRIVE products focus on general health and wellness. The current product list is THRIVE M for men, THRIVE W for women, THRIVE Mix, THRIVE DFT, DFT Ultra, Black Label DFT, DFT DUO, Activate, Boost, Balance, Move, Rest, Form, THRIVE K, Pure, and Expand. Le-Vel THRIVE’s product diversity makes it unique. Not only does it offer derma fusion technology, but gels, capsules, shakes, and mixes. With Le-Vel THRIVE, no stone goes unturned. THRIVE K is specifically formulated for kids, while Expand is the first nootropic capsule meant to improve cognitive function and mental clarity. Le-Vel THRIVE is the epitome of success as a start-up business by two entrepreneurs with an unconventional idea. Le-Vel released a 5-year anniversary memories video to commemorate its growth and success not only as a company but as a community. The video highlights major accomplishments of the company, including its first sale on September 18, 2012, its $10 million revenue in sales in its first year, and its industry-changing DFT technology, which was the first derma-fusion technology. Additionally, in November of 2014, Success From Home released a magazine dedicated to Le-Vel and Le-Vel has since produced its own lifestyle magazine, titled Thrivin’. The video depicts the various retreats, getaways, and conferences that Le-Vel hosted for their THRIVE team. The company celebrated its expansion to Mexico, its billion-dollar total sales revenue, and its partnerships with athletes such as Amy Purdy and Emmitt Smith. Continuing its charitable movements, Le-Vel Thrive donated over $430,000 to AmeriCares for Hurricane Harvey victims.